Digital financial services company, Branch International has entered into a partnership with Visa, a global payments technology company, in a bid to expand access to financial services in sub-Saharan Africa. The agreement will see both companies distribute virtual Visa prepaid debit cards numbers to over two million un-banked users of the Branch lending mobile application. With the virtual cards, Branch customers have the option to receive credit at physical Automated Teller Machines (ATM) without the need for a bank account. “Traditional barriers such as a credit score and bank account make financial accessibility a challenge for millions of people … By focusing on digitizing payments, we aim to build a more digitally inclusive ecosystem,’’ Visa’s Vice President for Strategic Partnerships, Fintech and Ventures, Otto Williams said. Furthermore, Branch is looking to help merchants grow their businesses and drive financial inclusion among the small merchant segments that are often unable to access quick loans. 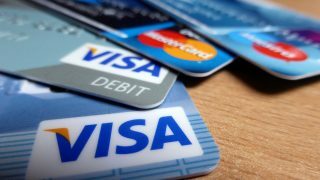 Thus, it will be offering preferential loan terms to Visa merchants. The loans will provide merchants, who accept Visa on mobile Quick Response (QR) codes, with funds to grow their business. The service will be launched first in Kenya, with plans of extending it across the region, particularly to Tanzania and Nigeria. “It only makes sense to be working together with Visa to bring world-class financial services to merchants,” Branch’s Chief Executive Officer, Mathew Flannery said, adding that the platform hopes to create a larger and more robust “open-loop payments ecosystem” for all participants. The partnership between Branch and Visa has seen the lender secure a $170 million series C funding to finance its expansion plan targeted at the unbanked. The latest investment round, led by Foundation Capital, involves both existing investors – Andreessen Horowitz, Trinity Ventures, Formation 8, the IFC, CreditEase, and Victory Park – and new investors including Greenspring, Foxhaven, and B Capital. With traditional barriers like bank accounts, financial accessibility remains a challenge for over two billion people in the world. Yet, many in under-served markets, have a financial tool right in their pockets – their mobile phones. By tapping into the rise of mobile technology worldwide, Branch aims to radically expand financial access, making full global inclusion a reality, Nairametrics notes. Founded in 2015, Branch offers financial services targeted at the unbanked. The company uses the power of data science – an algorithmic approach – to determine creditworthiness through customers’ smartphones. With over 13 million loans processed and three million customers, the digital lender has disbursed over $350 million.